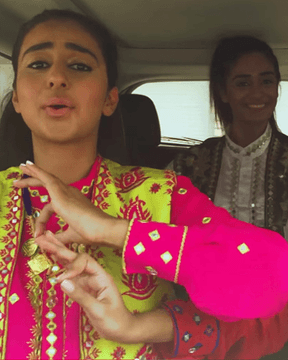 #BalleBalle: These Three Girls Got The Full Punjabi Swag! Remember Mime Through Time?! Well, we have a Punjabi remake now! And it’s more epic than you can imagine, we’re sure of that. After all, it’s 3 girls in a car doing the bhangra to classics like Mera Laung Gawacha and Dhol Jageero Da to modern day chartbusters like Amplifier and Lak 28! If those numbers get your feet tapping, you much watch this Punjabi Mime Through Time video by Ms Mutta. And you definitely don’t want to miss the ending - there is a surprise (and totally hilarious) special appearance!